TEMPLE, Henry John, 3rd Visct. Palmerston [I] (1784-1865), of Broadlands, nr. Romsey, Hants and 9 Great Stanhope Street, Mdx. b. 20 Oct. 1784, 1st s. of Henry Temple, 2nd Visct. Palmerston [I]†, and 2nd w. Mary, da. of Benjamin Mee, merchant, of Bath, Som. educ. by Gaetano Ravizzotti, an Italian tutor; Harrow 1795; Edinburgh Univ. 1800; St. John’s, Camb. 1803. m. 16 Dec. 1839,1 Hon. Emily Mary Lamb, da. of Peniston Lamb, 1st Visct. Melbourne [I]†, wid. of Peter Leopold Louis Francis Nassau, 5th Earl Cowper, s.p. legit. ; 2s. 2da. illegit. suc. fa. as 3rd Visct. Palmerston [I] 16 Apr. 1802; GCB 6 June 1832; KG 12 July 1856. d. 18 Oct. 1865. Ld. of admiralty Apr. 1807-Oct. 1809; sec. at war Oct. 1809-May 1828, with seat in cabinet Apr. 1827; PC 1 Nov. 1809; sec. of state for foreign affairs Nov. 1830-Nov. 1834, Apr. 1835-Sept. 1841, July 1846-Dec. 1851; sec. of state for home affairs Dec. 1852-Feb. 1855; first ld. of treasury 10 Feb. 1855-25 Feb. 1858, 18 June 1859-d.
Capt. Fawley vol. inf. 1803-4; lt.-col. commdt. S. W. Hants militia 1809. Ld. warden, Cinque Ports 1861-d.; master, Trinity House 1862-d.; ld. rect. Glasgow Univ. 1862-d. I can forgive old women like the chancellor [Eldon], spoonies like Liverpool, ignoramuses like Westmorland, old stumped-up Tories like Bathurst; but how such a man as Peel, liberal, enlightened and fresh minded, should find himself running in such a pack is hardly intelligible ... But the day is fast approaching, as it seems to me, when the matter will be settled, as it must be. Palmerston was privately delighted by Canning’s sterling pre-Christmas speech in favour of British intervention in Portugal.39 He responded angrily to Hume’s criticisms of the war office, 30 Nov., 8 Dec. 1826, 14 Feb. 1827, saw off opposition to his army estimates, 19, 20 Feb., and again defended flogging, 12 Mar. He presented the petition of the Catholics of county Sligo for their claims, 21 Feb., and voted accordingly, 6 Mar.40 On 9 Apr. he distanced himself from any responsibility for the Cornwall and Devon Mining Company, one of the ill-fated entrepreneurial concerns with which he became embroiled in the mid-1820s and which seriously exacerbated his worrying financial problems.41 On the accession of Canning as premier that month, when he was also considered for the home office, he accepted the invitation to become chancellor (a position he had declined in 1809) in order to support him both at the treasury and in the Commons. However, to avoid his re-election becoming mixed up with a contest which was already due to take place at Cambridge University, his appointment was postponed to the end of the session. Lady Cowper reported him to be ‘very well pleased’ with this arrangement, especially since he joined the cabinet with immediate effect.42 As he had done briefly after York’s death in January, he served as acting commander-in-chief following what he saw as the regrettable resignation of Wellington, and, having helped to stifle the king’s plan to exercise this role personally, he drew up a memorandum on this, 11 June, and explained his role to the House, 21 June.43 In his only other interventions that session, he gave lukewarm support to the Penryn disfranchisement bill, 7 June, and favoured the East Retford measure only in so far as the existence of such electoral abuses strengthened the hand of radical reformers, 11 June 1827. 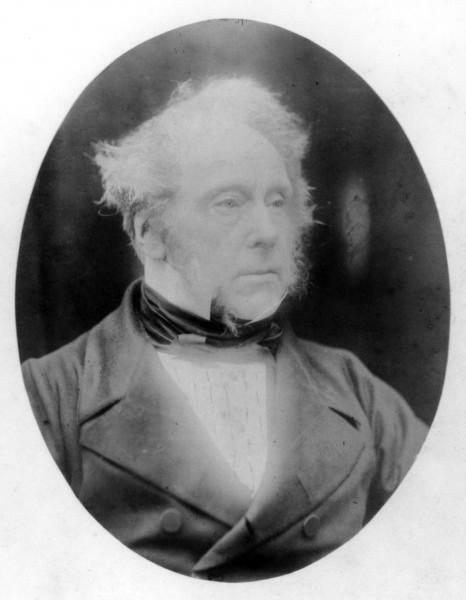 Despite wanting to raise foreign affairs at the start of the session, Palmerston contented himself with voting for Knatchbull’s amendment on distress, 4 Feb. 1830.94 The following day he explained that he had been bound to do this, given the factual inaccuracy of the address, but saw the agricultural depression as a temporary effect of the beneficial return to a metallic currency; he also criticized ministers’ conduct towards Portugal and on the 9th gave notice of a censure motion on this topic. He made what Hobhouse described as a ‘furious speech’ on the government’s failure to guarantee the independence of Greece, 16 Feb., when, in response to an irate intervention by Peel asking who he stood for, he declared that ‘I stand here ... as one of the representatives of the people of England ... I also stand here ... as one of that body which represents or which, at least, ought to be the maintainers of, the honour and interests of England’.95 It was perhaps in relation to their ‘brisk skirmish’ that day, which marked a breach between them, that Lord Holland surmised that the session might end in the formation of ‘two parties, of one of which Peel, of the other Palmerston, will be the leader’.96 He voted for transferring East Retford’s seats to Birmingham, 11 Feb., 5 Mar., and the enfranchisement of Birmingham, Leeds and Manchester, 23 Feb., but against the Ultra Lord Blandford’s reform bill, 18 Feb. He stated that he would divide against restricting the grant for the army to six months, 19 Feb., but sided with opposition against filling the vacant treasurership of the navy, 12 Mar., and spoke and voted for inquiry into the revision of taxation, 25 Mar. As George Agar Ellis* put it, Palmerston ‘spoke admirably and bitterly respecting the conduct of government’, commending to ministers the maxim ‘Be just and fear not’, on introducing his unsuccessful motion for papers on relations with Portugal, 10 Mar., which was defeated by 150-73.97 The speech, which he had published, led to a lively debate, during which he was again pitted against Peel, and provoked further contributions to the continuing pamphlet war on the subject.98 Palmerston, who according to Joseph Jekyll†, ‘looked pale and jaded, and five years older since last summer, from his parliamentary anxieties and displays’, asked a question about a reported amnesty in Portugal, 6 Apr., and voted for Grant’s resolutions on the affair at Terceira (which he had criticized on 10 Mar. ), 28 Apr.99 He divided for Jewish emancipation, 5 Apr., 17 May. He voted to repeal the Irish coal duties, 13 May, for a return of privy councillors’ emoluments, 14 May, and to end capital punishment for forgery, 24 May, 7 June 1830.
the friends with whom I was politically acting were Melbourne and Grant; but that, to say the truth, I should be unwilling, and I believed they would be so too, to join the duke unless Lansdowne and Grey were to form part of his government. Croker called on me a few days afterwards to try to persuade me to reconsider the matter. After talking some time he said, ‘Well, I will bring the matter to the point. Are you resolved, or are you not, to vote for parliamentary reform?’ I said, ‘I am’. ‘Well, then’, said he, ‘there is no use in talking to you any more on this subject. You and I, I am grieved to see, shall never again sit on the same bench together’. Notwithstanding the applause which has been bestowed upon the bill, we must not disguise from ourselves, that there is a vast mass of intelligence, of property, of liberality and even of Whiggism by which its provisions are looked upon, with some uneasiness, as too sweeping and extensive, and to whom considerable modifications would be exceedingly acceptable; and the points to which the most frequent objections are directed are the extent of disfranchisement, the lowness of the £10 qualification and the reduction in the English representation. It may also have been because Palmerston was distracted by foreign affairs, since, having produced papers on Belgium, 27 July, he was assailed by questions about the French retaliatory military action following the invasion by the disaffected Dutch of its former possessions, 3, 6, 8 Aug. 1831.146 A petition from the Westminster Union of the Working Classes calling for his removal was presented by Henry Hunt on the 8th, when he ruled out any discussion of the Polish uprising. He persuaded Vyvyan to postpone his hostile motion on France’s intentions, 9, 11 Aug., and, confiding that he reckoned that the Tories viewed the possibility of a European war as their last chance of killing the reform bill, he wrote frantically to Granville, instructing him to ascertain whether the French would reciprocate if the Dutch could be persuaded to withdraw.147 On Croker introducing an unsuccessful motion for papers, with the intention of establishing that the foreign secretary had deceived the House, 12 Aug., Palmerston refused to enter into details and sneeringly dismissed his antagonist with the words, ‘I, for one, do not write in the newspapers’; this put-down was, in fact, of doubtful accuracy, but Littleton privately noted that ‘indifference and contempt were never expressed with more good humour, or in a more gentlemanly manner’.148 Lord Valletort’s question about French naval actions off Portugal ‘fell very flat’, 18 Aug., and, since it failed to elicit any information relating to the continuing negotiations, Vyvyan’s motion, 20 Aug. 1831, ‘led to nothing, Palmerston saying nothing at all’ of any substance.149 Thanking Granville for having obtained the requested reassurances from France, Palmerston commented that ‘our opponents are now obliged to tender us their doleful congratulations upon our fortunate escape from what they looked forward to as a certain piece of luck’.150 He stifled Thomas Peregrine Courtenay’s repeated attempts to request information on Portugal towards the end of the session. Granville commented to Holland, 23 Jan. 1832, that ‘I think with you that Palmerston’s foreign politics are essentially good and liberal, but he is constantly apprehensive, not of being duped, but of being thought to be duped by Talleyrand and the French government’.166 The French ambassador was said by Raikes to have ‘got Palmerston in his wily embrace’, and a strikingly lifelike double portrait of them in a cartoon entitled ‘the lame [Talleyrand] leading the blind’ aroused his intense resentment at this time.167 His worries about the parliamentary treatment of his departmental responsibilities were illustrated by the way he anxiously briefed Littleton to assist him in answering Vyvyan’s hostile questioning over the Belgian settlement, 3 Feb.; he again had to respond on this and about a convention with France on the slave trade, 6 Feb.168 He had been restrained by the cabinet from becoming too involved, as the French navy had done, with the military activities of Dom Pedro, on behalf of his daughter Maria, but Courtenay’s motion for information on Portugal, 9 Feb., forced him to defend his active diplomatic interference against the Miguelite regime, a concentrated and protracted policy of attempting to facilitate the return of the legitimate ruler which he nevertheless claimed did not abrogate his principle of non-intervention.169 In response to bellicose questioning from Vyvyan about French military ambitions in Italy, 7, 13 Mar., he calmed fears of a European war; wishing to keep both France and Austria as much as possible out of the vacuum of collapsing Italian states, including the Papacy, he made determined efforts that year to encourage them to establish viable governmental institutions.170 The airing of criticisms by Lord Eliot, who echoed the usual Tory objection that Palmerston was too close to the French, 26 Mar., led him into a lengthy vindication of his policies towards Belgium and Portugal, particularly as having been carried out in accordance with Britain’s overall interests. He ridiculed Dixon’s allegation that he had ‘repeatedly shuffled away’ from his inquiries about compensation due from Brazil to British merchants, 13 Apr., and did enough to prevent his pressing his motion for papers to a division, 16 Apr. 1832.
felt strongly that as we had prevented the making of peers at a time when the king gave Grey the power to do so, if now in consequence of none being made we are defeated, we were to insist upon dissolving the government, we should be accused and with some show of plausibility, of a scheme to defeat the bill and to play false to our colleagues. Palmerston’s pprs., some of which are accessible at www.archives.soton.ac.uk/palmerston, form part of the Broadlands mss at Southampton Univ. Lib. These were partly printed in Sir Henry Lytton Bulwer (Lord Dalling), Life of Henry John Temple, Visct. Palmerston, 5 vols. (1870-6) [hereafter cited as Bulwer]; following Dalling’s death, the last three volumes of this work were edited and written by the Hon. Evelyn Ashley, who prepared a revised and enlarged edition, Life and Corresp. of Henry John Temple, Visct. Palmerston, 2 vols. (1879) [hereafter cited as Ashley]. P. Guedalla’s influential but romanticized portrait, Palmerston (1926) and H.C.F. Bell’s workmanlike Lord Palmerston, 2 vols. (1936), were echoed in a number of routine 20th century biographies, to which D. Southgate’s study, ‘The Most English Minister’: The Politics and Policies of Palmerston (1966), was a worthy companion. J. Ridley’s generally reliable Lord Palmerston (1972 edn.) has been superseded by the most recent life, J. 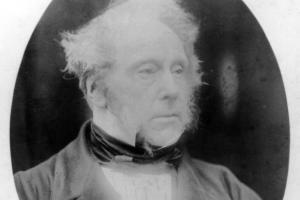 Chambers, Palmerston: ‘The People’s Darling’ (2004); while, as a basic introduction, M. Chamberlain, Lord Palmerston (1987) is preferable to P.R. Ziegler, Palmerston (2003). For the first half of his career, the authoritative account is K. Bourne, Palmerston, The Early Years, 1784-1841 (1982), which is much relied on here; as, for his diplomacy, is Sir C. Webster, Foreign Policy of Palmerston, 1830-1841: Britain, the Liberal Movement and the Eastern Question, 2 vols. (1951). 1. Not the 11th, as erroneously stated in HP Commons, 1790-1820, v. 348. 2. Chambers, 51-52; Ridley, 93; Bourne, 80-82, 115, 181-2, 227. 3. Broadlands mss PP/GC/LI/184-5, 192-3; Bourne, 90-92, 96, 103-5, 110-11, 115-19, 122, 142-4, 146, 161, 170-2; M. Partridge, ‘Palmerston and War Office’, ch. 1 in Palmerston Stud. ed. D. Brown and M. Taylor, ii. 1-23. 4. Bulwer, i. 145-6; Ashley, i. 86-87, 102-3. 5. Bulwer, i. 150; Bourne, 234-5. 6. Guedalla, 100-2; Moore Jnl. i. 174; Hatherton diary, 17 Mar. 1836. For his future wife, see Countess of Airlie, Lady Palmerston and her Times, 2 vols. (1922) and F.E. Baily, Love Story of Lady Palmerston (1938). 8. ‘... and Mr. Fortescue’ ed. O.S. Hewett, 162. 9. Cambridge and Hertford Independent Press, 19, 26 Feb., 11 Mar. 1820; Bourne, 241. 10. Broadlands mss PP/GC/WE/55; SLT/2; BR195/12-17, 20-25; Palmerston-Sulivan Letters, 148; Bourne, 157-8, 232. 11. Palmerston-Sulivan Letters, 148-9; Hants RO, Malmesbury mss 9M73/404; Malmesbury Letters, ii. 537-8. 12. The Times, 17 Mar. 1821. 13. Lady Palmerston Letters, 79. 14. Add. 38194, ff. 78, 80. 15. Ibid. f. 83; Broadlands mss PP/GC/LI/190; TE/167. 16. Add. 38743, f. 75. 17. Gurney diary; Chambers, 88, 91-92. 18. Bourne, 135-6; Ashley, i. 88. 19. Palmerston-Sulivan Letters, 151-3; Croker Pprs. i. 230-1. 20. Palmerston-Sulivan Letters, 156-9; Bourne, 172-3, 238-9. 21. Palmerston-Sulivan Letters, 153-5; Bourne, 241-2; The Times, 17, 23 Apr. 1823. 23. Ridley, 105-11; Cobbett’s Rural Rides ed. G.D.H. and M. Cole, 467-70, 483-4. 24. Palmerston-Sulivan Letters, 161-6, 170, 171. 25. PP (1825), vii. 1-458; The Times, 25 June 1824. 26. Parker, Peel, i. 357. 27. PP (1825), viii. 1-845. 29. Bulwer, i. 158-9, 161, 174-9; Palmerston-Sulivan Letters, 174-5, 183-6; Arbuthnot Corresp. 78; D. Norton, ‘On Lord Palmerston’s Irish Estates in 1840s’, EHR, cxix (2004), 1255-7. 30. Palmerston-Sulivan Letters, 172; Buckingham, Mems. Geo. IV, ii. 249. 31. Add. 40381, f. 437; 51659, Whishaw to Holland, 3 Dec.; Cambridge Chron. 9, 16, 30 Dec. 1825; Bulwer, i. 161, 164-6; Palmerston-Sulivan Letters, 176-7. 32. CUL Add. 8339/2, 14, 15, 23, 32, 33, 36, 39, 58, 64; Palmerston-Sulivan Letters, 177-81; J. W. Clark and T. McK. Hughes, Life and Letters of Sedgwick, i. 268-70, 275-7; Eng. Hist. Docs. xi. 105-8; Broadlands mss, Liverpool to Palmerston, 23 Jan. 1826; Bourne, 242-6. 33. CUL Add. 8339/90, 122. 35. CUL Add. 8339/152, 181, 184, 185; The Times, 14-17 June 1826; Bulwer, i. 166-70, 373; Palmerston-Sulivan Letters, 181-3. 36. Broadlands mss, Palmerston to Liverpool, 31 May 1826; Bulwer, i. 167, 169-72, 374. 37. Add. 38301, f. 261; 38568, f. 129; Bulwer, i. 372; Bourne, 139, 248, 250-1. 38. Broadlands mss PP/D/25; Bulwer, i. 178-81; Bourne, 249-50; A. Aspinall, ‘Canningite Party’, TRHS (ser. 4), xvii (1934), 215. 40. The Times, 22 Feb. 1827. 42. Bulwer, i. 188-9, 374-5; Palmerston-Sulivan Letters, 187; Canning’s Ministry, 118, 240. 43. Bulwer, i. 186-7, 191; Bourne, 175-7; Palmerston-Sulivan Letters, 189; The Times, 22 June 1827. 45. Arbuthnot Jnl. i. 419; ii. 129, 135. 46. Bulwer, i. 375-7; Bourne, 252-3, 263-5. 47. Lady Palmerston Letters, 173; Palmerston-Sulivan Letters, 190. 48. Broadlands mss PP/GMC/17; Bulwer, i. 196-8, 377-8; Geo. IV Letters, iii. 1392; Huskisson Pprs. 227-9. 49. Palmerston-Sulivan Letters, 193-5, 198. 50. Ibid. 196-9; A. Aspinall, Politics and the Press, 132, 221; Brougham mss, Palmerston to Brougham, 22 Aug., 1 Sept. 1827; Bourne, 267-8. 52. Ibid. i. 378; Palmerston-Sulivan Letters, 200. 53. Creevey Pprs. ii. 123; Wellington mss WP1/895/22; Palmerston-Sulivan Letters, 197; Bourne, 177-9. 54. Wellington mss WP1/895/15; Lonsdale mss, Croker to Lowther, 11 Aug. ; Bulwer, i. 193-6. 55. Bulwer, i. 200-5; Melbourne’s Pprs. 108-9. 56. Add. 40862, f. 233; Palmerston-Sulivan Letters, 204. 57. Bulwer, i. 210, 378-9; E. Herries, Mem. of Public Life of Herries, i. 128-30, 162-3, 193-5, 234; ii. 77-86. 58. Arbuthnot Jnl. ii. 159, 162-3. 59. Broadlands mss PP/GMC/18; BR23AA/5/1, 5; Powis mss, Palmerston to Clive, 15 Jan. 1828; Bulwer, i. 217-20, 379-80. 60. Broadlands mss PP/GMC/24-28; BR23AA/5/2; Add. 38754, ff. 132, 152, 157; Bulwer, i. 380. 61. Broadlands mss PP/CAB/1; Bourne, 179. 62. Broadlands mss PP/GMC/28; Add. 40395, f. 167; Bourne, 280. 63. Bulwer, i. 231; Wellington mss WP1/928/5. 64. Arbuthnot Jnl. ii. 166-7, 177. 65. Bulwer, i. 231-5, 239-46. 66. Ibid. i. 223-4, 230-1, 238, 246-50; Wellington mss WP1/926/9. 68. A. Aspinall, ‘Last of the Canningites’, EHR, l (1935), 645. 69. Add. 38756, f. 247; Arbuthnot Jnl. ii. 187; Ellenborough Diary, i. 98, 103-4, 106-7, 109; Greville Mems. i. 208; Bulwer, i. 250; Broadlands mss PP/D/2, ff. 18-25; Ashley, i. 143-6. 70. Bulwer, i. 234-5, 253-68; Broughton, Recollections, v. 203-4; Wellington mss WP1/980/29. 71. Ellenborough Diary, i. 113, 116; Broughton, iii. 271; Bulwer, i. 272-6, 380-1; Wellington mss WP1/933/10; 935/45; Ward, Letters to ‘Ivy’, 339. 72. G.R. Gleig, Personal Reminiscences of Wellington, 41-42. 73. Broadlands mss PP/GC/TE/200; Bulwer, i. 277-9; Palmerston-Sulivan Letters, 205-6; Aspinall, ‘Canningite Party’, 224-6; Bourne, 288, 290. 74. Ashley, i. 163; Arbuthnot Jnl. ii. 190; Palmerston-Sulivan Letters, 205; Bulwer, i. 268. 75. Bulwer, i. 282-7; Palmerston-Sulivan Letters, 206-7; Broadlands mss BR23AA/5/3; Ashley, i. 164-6. 76. Broadlands mss BR23AA/5/4; Bulwer, i. 287-95. 77. Broadlands mss PP/D/2, f. 73; Palmerston-Sulivan Letters, 212, 213. 78. Bulwer, i. 299-313; Broadlands mss PP/D/2, ff. 92-93; Palmerston-Sulivan Letters, 211-19; Bourne, 293-4. 79. Bulwer, i. 313-25; Palmerston-Sulivan Letters, 223-9; Broughton, iii. 300. 81. Greville Mems. i. 274, 283; Bourne, 295-6. 82. Broadlands mss PP/SP/A/9, 11-17. 86. Ibid. PP/D/5; SP/A/18; Bulwer, i. 333-4, 340-6; Greville Mems. i. 296; Heron, Notes, 178; Guedalla, 139-40. 88. Durham CRO, Londonderry mss C83/25; Arbuthnot Corresp. 120; Broadlands mss SP/B/1. 89. Cornw. RO, Vyvyan mss, Knatchbull to Vyvyan, 26 Aug., replies, 31 Aug., 7 Sept. 1829. 90. Ibid. Vyvyan to Cumberland, 6, 22 Oct. 1829; Broadlands mss BR23AA/5/6; Palmerston-Sulivan Letters, 232-6; B.T. Bradfield, ‘Sir Richard Vyvyan and Fall of Wellington’s Government’, Univ. of Birmingham Hist. Jnl. xi (1967-8), 148-9. 91. Broadlands mss BR23AA/5/8; Bourne, 304-6. 92. Bulwer, i. 347-59; Lansdowne mss. 93. Grey mss, Ellice to Grey, 18 Jan., [1 Feb.] 1830. 94. Nottingham Univ. Lib. Ossington mss OsC72. 95. Add. 56554, f. 65. 96. Greville Mems. i. 374; Add. 51786, Holland to Fox, 3 Mar. 1830; Bourne, 307, 309. 97. Northants. RO, Agar Ellis diary; Grey mss, Howick jnl. ; Howard Sisters, 125. 98. Letter to Friend in Paris by one of Minority on Lord Palmerston’s Motion (1830); W. Walton, Letter addressed to Visct. Palmerston (1830); Bourne, 307, 667. 99. Jekyll Corresp. ed. A. Bourke, 229. 102. Broadlands mss PP/GMC/33; Bulwer, i. 381; Bourne, 312-13; J. Milton-Smith, ‘Earl Grey’s Cabinet and Parliamentary Reform’, HJ, xv (1972), 61. 103. Ellenborough Diary, ii. 306, 312, 316; Arbuthnot Jnl. ii. 373. 104. Sir James Graham mss (IHR microfilm XR 80), 1, bdle. 2, Palmerston to Graham, 28 July; Cambridge Chron. 30 July, 6 Aug. 1830; Harewood mss WYL 250/11/60; Airlie, i. 172-4; Milton-Smith, 62; Webster, i. 80. 105. Greville Mems. ii. 33, 39. 106. Unrepentant Tory ed. R.A. Gaunt, 121, 125; Hatherton mss; Palmerston-Sulivan Letters, 241. 107. Creevey Pprs. ii. 213; Arbuthnot Corresp. 139. 108. Hatherton mss; Broadlands mss PP/GMC/34, 35, 38. 109. Chatsworth mss, Brougham to Devonshire [21, 30 Sept.]; Agar Ellis diary, 25 Sept., 1 Oct. 1830. 110. Arbuthnot Jnl. ii. 389-90; Palmerston-Sulivan Letters, 14. 111. Bulwer, i. 381-2; Broadlands mss PP/GMC/36-40; Add. 51599A, Palmerston to Holland, 12 Oct.; Hatherton mss, same to Holland, 12 Oct. 1830; Bourne, 319-23. 112. Ashley, i. 212; Palmerston-Sulivan Letters, 242-7. 113. Arbuthnot Jnl. ii. 393; Parker, ii. 165; Bulwer, i. 382-3; Broadlands mss PP/GMC/42; Hatherton mss, Littleton to Wellesley, 20 Dec. 1830. 114. Powis mss, ‘mem.’ [Nov. 1830]; Ellenborough Diary, ii. 418; Arbuthnot Jnl. ii. 397-8. 115. Bulwer, i. 383; Broughton, iv. 60; Agar Ellis diary, 12, 13 Nov.; Fitzwilliam mss, Althorp to Milton, 15 Nov. 1830; Bourne, 324-7. 116. Croker Pprs. ii. 74. 117. Bulwer, i. 383; Walpole, Russell, i. 160; G. M. Trevelyan, Lord Grey of Reform Bill, 379. 118. Grey mss, Durham to Grey, 4 Oct.; Powis mss, Holmes to Powis [c.17 Nov.]; Hatherton mss, Palmerston to Littleton, 17 Nov. 1830; Le Marchant, Althorp, 260; Palmerston-Sulivan Letters, 248; Bourne, 328-9. 119. P. Ziegler, Melbourne, 119; Webster, i. 19-22; Aspinall, ‘Last of the Canningites’, 659, 663, 668-9. 120. Ridley, 210-11; Autobiographic Recollections of George Pryme ed. A. Bayne, 177. 121. Croker Pprs. ii. 80. 122. Bucks. RO, Fremantle mss D/FR/139/14/73; Three Diaries, 2-3. 124. Greville Mems. ii. 88-89; Palmerston-Sulivan Letters, 248. 125. E.A. Smith, Lord Grey, 262, 279-81; Webster, i. 31-35; Bourne, 499-501; Lambton mss (History of Parliament Aspinall transcripts), Graham to Durham, 31 Jan. 1831; Three Diaries, 91. 126. Bulwer, ii. 130; Webster, i. 58-60, 64, 72; Sir E. Hertslet, Recollections of Old Foreign Office, 24-25, 34-35; Sir J. Tilley and S. Gaselee, Foreign Office, 50-60, 63-69; Bourne, 415-26, 430-4, 438-9, 441, 445, 449. 127. Lieven Letters, 276; Lieven-Palmerston Corresp. 24; Bourne, 330-1. 128. Webster, i. 91-92, 104-18; Bourne, 332-4. 129. Webster, i. 42-43, 57; ii. 782-3. 130. Greville Mems. ii. 118. 131. Webster, i. 119-30. See also J.A. Betley, Belgium and Poland in International Relations, 1830-1831. 132. Three Diaries, 54; Baring Jnls. i. 81; TNA, Granville mss 30/29. 133. Bulwer, ii. 45, 48; Milton-Smith, 67. 134. O. Williams, Life and Letters of Rickman, 275; Three Diaries, 63; Broughton, iv. 90; N. Gash, Politics in Age of Peel, 13-14. 135. Russell Letters, ii. 327-8; St. Deiniol’s Lib. Glynne-Gladstone mss 197, T. to J. Gladstone, 25 Mar. ; Agar Ellis diary, 25 Mar. 1831. 136. Grey mss; Trevelyan, 301; Milton-Smith, 67; Bourne, 505-6. 137. Ashley, i. 258-9; Palmerston-Sulivan Letters, 248-9; Cambridge Chron. 29 Apr., 6, 13 May 1831; Bourne, 508-10. 138. Add. 51600, Palmerston to Lady Holland [8 May]; 51680, Russell to same [?3 May]; Glynne-Gladstone mss 198, T. to J. Gladstone, 7, 10 May 1831. 139. Grey mss, Palmerston to Grey, 14 May, reply [15 May], Althorp to Durham [29 May 1830]; Trevelyan, 301-2. 140. Milton-Smith, 67; Three Diaries, 98. 141. Arbuthnot Corresp. 146; Arbuthnot Jnl. ii. 425-6; Creevey’s Life and Times, 345-6; Lieven Letters, 305. 142. Russell Letters, ii. 350; Hatherton diary, 30 June 1831. 145. Macaulay Letters, ii. 91. 146. Webster, i. 132, 137-9. 147. Ibid. i. 139; Bulwer, ii. 98, 102-3, 120. 148. Surr. Hist. Cent. Goulburn mss Acc. 304/67B, Goulburn to wife [12 Aug.]; Hatherton diary, 12 Aug. 1831; Bulwer, ii. 18-21; Bourne, 480. 149. Greville Mems. ii. 186; Three Diaries, 120. 151. Hatherton diary, 18 July; Herts. Archives, Panshanger mss, Palmerston to Melbourne, 3 Sept. 1831; Milton-Smith, 68; Holland House Diaries, 43. 152. Broadlands mss BR23AA/5/9; PP/GC/GR/2355-7; Trevelyan, 313-14. 153. Ziegler, 147; Holland House Diaries, 66, 69; Add. 76373, Althorp to Grey, 9 Oct.; Grey mss, Durham to same [11 Oct.], Grey to Palmerston, 14 Oct. 1831. 154. Broadlands mss PP/GC/DE/61; RI/11; Sir James Graham mss 1, bdle. 7, Smith Stanley to Graham, 27 Oct. 1831. 155. Broadlands mss BR23AA/5/17; Greville Mems. ii. 214-5; Bourne, 514-15. 156. Broadlands mss BR23AA/5/10; Bourne, 515-16. 158. Wellington mss WP1/1202/13; Broadlands mss PP/HA/D/5; BR23AA/5/20, 21; Milton-Smith, 71; Bourne, 516-17. 159. Webster, i. 145; Hatherton diary. 160. Creevey mss; Holland House Diaries, 98; Wellington mss WP1/1204/19, 21. 161. Croker Pprs. ii. 141. 162. Holland House Diaries, 108, 113; Three Diaries, 178; Trevelyan, 331; Bourne, 518-19. 163. Greville Mems. ii. 234. 164. Holland House Diaries, 119; Three Diaries, 185, 197; Hatherton diary. 167. Raikes Jnl. i. 9; M.D. George, Cat. of Pol. and Personal Satires, xi. 16937; Talleyrand Mems. ed. duc de Broglie (1891), iv. 191-2. 168. Hatherton diary, 2, 3 Feb. 1832. 169. Webster, i. 237-51; R. Bullen, ‘Party Politics and Foreign Policy’, BIHR, li (1978), 37-41. 170. Webster, i. 200-20; A. J. Reinerman, ‘An Unnatural "Natural Alliance": Metternich, Palmerston and Reform of Papal States’, International Hist. Rev. x (1988), 541-58. 171. Add. 60463, f. 20; Three Diaries, 202; Greville Mems. ii. 256-9. 172. Three Diaries, 205; Add. 60463, ff. 36, 44; Broughton, iv. 198. 173. Holland House Diaries, 167-8. 174. Add. 60463, f. 67; Three Diaries, 205; Bourne, 351-2, 520. 175. Add. 51599A, Palmerston to Holland, 20 Apr. ; Sheffield Archives, Wharncliffe mss, ‘mem.’ 28 Apr. 1832; Holland House Diaries, 172; Bourne, 520. 176. Three Diaries, 242; Greville Mems. ii. 293. 177. Add. 60463, f. 92; Milton-Smith, 72. 178. Parker, Graham, i. 143; Add. 60463, f. 105. 179. Lady Palmerston Letters, 190; Add. 60463, f. 107. 181. Devon RO, Earl Fortescue mss 1262M/FC 88; Lady Palmerston Letters, 194; Three Diaries, 275, 277. 182. Add. 60463, f. 134; Webster, i. 181-91; Bourne, 352-7. 183. Add. 60463, f. 139; 51644, Jeffrey to Lady Holland [20 July 1832]. 184. Webster, i. 225-36; ii. 799-800; Bourne, 367-72; Castle Howard mss, Holland to Carlisle, 6 Aug. 1832. 185. Webster, i. 82, 87, 257-89; Bourne, 374-8; M. Vereté, ‘Palmerston and Levant Crisis, 1832’, JMH, xxiv (1952), 143-51. 186. Add. 60463, ff. 153, 192; Lady Palmerston Letters, 199, 200; Webster, i. 152-76, 248-53. 187. Jekyll Corresp. 302, 307; Chambers, 88, 137. 188. Lieven-Palmerston Corresp. 43; Lieven Letters, 332; Webster, i. 197. 189. Webster, i. 191-9, 320-32; Bourne, 359-65. 190. Add. 47355, f. 187; Webster, i. 45-52; Aspinall, Politics and the Press, 191-2, 238, 241; Bourne, 476-91. 191. Greville Mems. iv. 138. 192. Webster, i. 3, 55, 76, 81-82; ii. 780-1, 784-95; Bourne, 386-7, 404-6, 523-4, 621-2, 624-8, 631; Oxford DNB; S. M. Lee, ‘Palmerston and Canning’, ch. 1 in Palmerston Stud. i. 7-11. 193. Broadlands mss BR195/30-43, 55; Palmerston-Sulivan Letters, 252-4; The Times, 9, 15 Oct., 12 Nov., 20, 21 Dec. 1832; Bourne, 535-8; D. Brown, ‘Palmerston, S. Hants and Electoral Politics’, Hants Pprs. xxvi (2003), 6-17. 194. Talleyrand Mems. iii. 281. 195. [J. Grant], Random Recollections of Commons (1837), 226; Lord Teignmouth, Reminiscences of Many Years, ii. 214; Bourne, 502; J.S. Meisel, ‘Palmerston as Public Speaker’, ch. 3 in Palmerston Stud. i. 48-51. 196. DNB; Webster, i. 55-57; ii. 793; Chamberlain, 1-3; D. Brown, Palmerston and Politics of Foreign Policy, 4-13. 197. The Times, 19 Oct. 1865; Guedalla, 9, 93-94, 459; Southgate, pp. xxviii, 566.